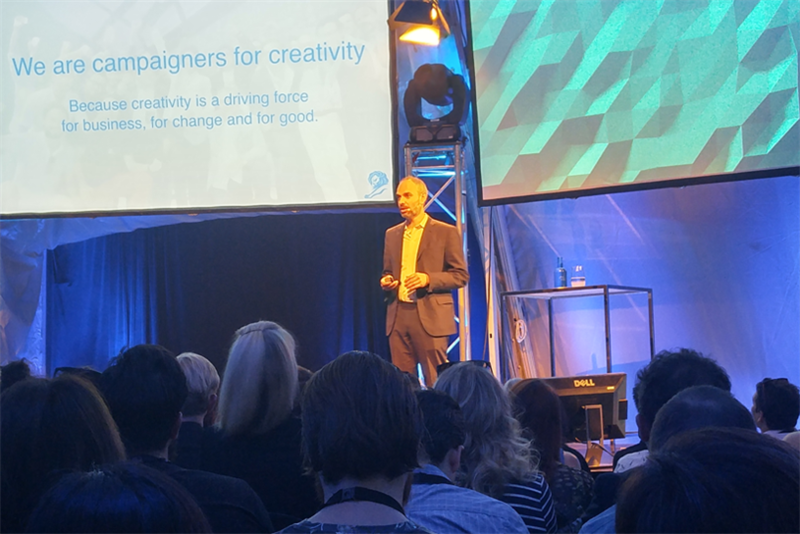 David Davies, managing director of content for Cannes Lions, made the business case for award-winning work at the first day of C2 Montreal 2016, a conference focused on the intersection of commerce and creativity. "I'm going to try to convince you with hard evidence that creativity drives business performance, change and can be used to make the world a better place," he said. Speaking to a standing-room-only crowd in the violet light of a circus tent, Davies made the connection between work that moves hearts and work that moves product. Volvo’s 2015 Creative Effectiveness Grand Prix for its "Live Test Series" signaled that the company didn’t just produce powerful ads, Davies said. Sales of trucks rose 24% after Volvo ran the campaign, which featured extreme tests of the technical specs of Volvo Trucks, including a now iconic scene of Jean-Claude Van Damme performing an "epic split" between two tractor trailers. "We're not talking Apple, we're not talking Nike, we're talking about selling trucks to truckers," Davies said. "As one of the jury members said, ‘they also managed to make trucks, and Volvo trucks in particular, part of the culture.’" He cited the campaign’s 100 million YouTube views, as well as the 50 million views garnered by spoofs of the campaign. 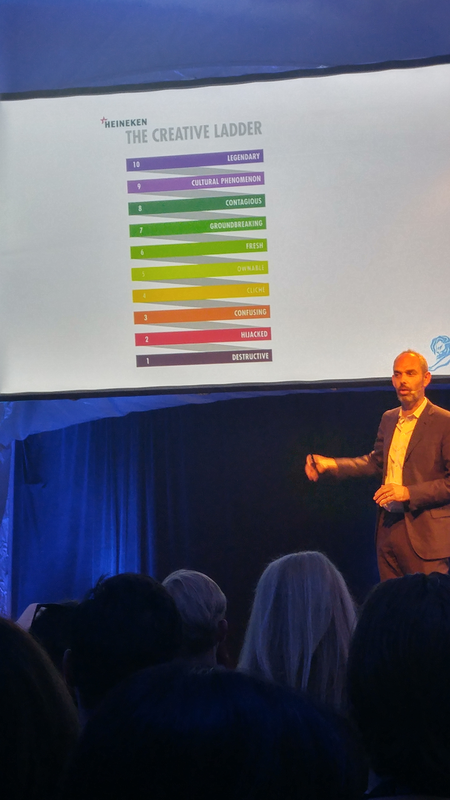 Davies hammered home the point that the Volvo case study isn’t an isolated incident, referencing data from James Hurman’s book "The Case for Creativity." Hurman analyzed share prices for companies 6 months before they won creativity awards, "at the very point they were delivering that creative work. What he found was they were outperforming against their own historicals, against their competitive set," he said. Davies also referred to an internal study by McDonald’s that found return on investment from work that won awards was 54% higher than from work that didn’t. But creative work can also benefit from a business perspective, Davies said, before explaining Heineken’s creative ladder, a process that helped them win the Creative Marketer of the Year at Cannes in 2015. "What they're trying to do is move every piece of work up from a 4, which is safe, tried and tested," Davies said. "What does it take to be a 10? That's a Nike swoosh or a Marlboro Man." More retail brands are realizing creativity (and the notoriety that comes with awards) help their bottom lines. "Back in 2005 and 2006, they were only winning one or two," Davies said. "But they've seen the benefits of winning the Lions, in terms of becoming more creative and valuing that, so more and more of them have become focused on creativity and want to achieve more."